Located in the town of Oliena, they are cultivated in non-irrigated, medium-mixture soils on hilly sites. 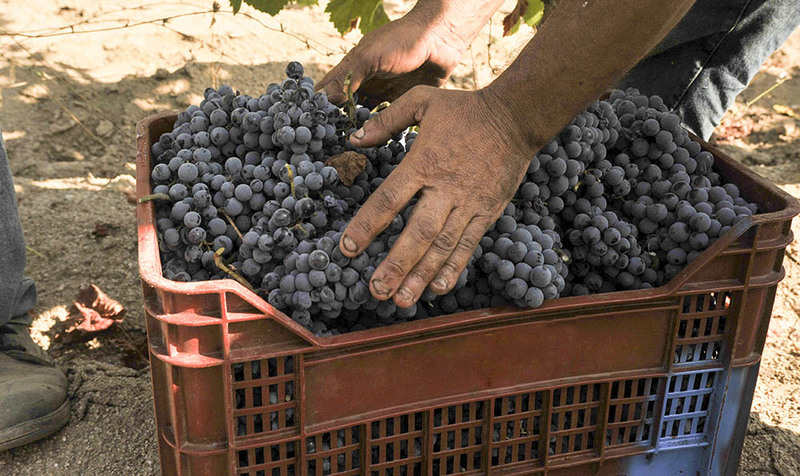 The high exposure to the sun, the traditional farming system with small trees and the agronomic techniques used for the production and maintaining of the grape strength allow for obtaining grapes with a particular balance between sweet and acid-tannic components. 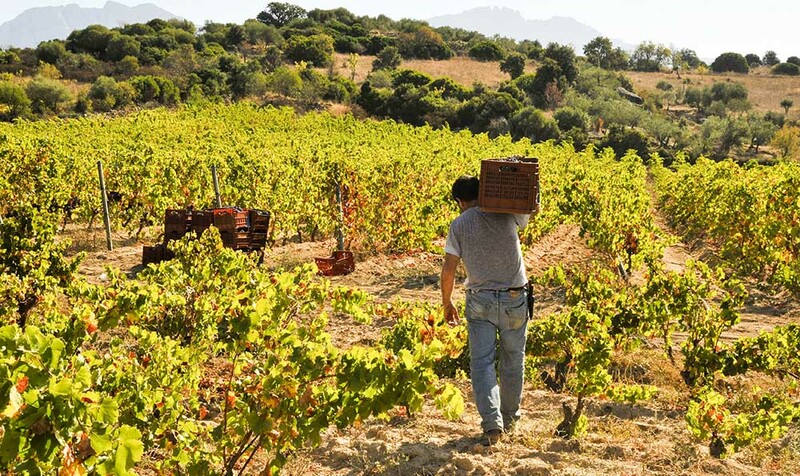 The carefully-selected grapes in the vineyard are generally harvested between the last 10 days of September and the first 10 days of October. At transportation, grapes undergo accurate selection to remove damaged or not perfectly ripe bunches. After pressing and destemming, the grapes undergo a period of maceration for 15 days, followed by post-maceration of a duration that varies according to the grape characteristics. Frequent pumping and délestage allow the extraction of the grape aromatic and polyphenolic component. At first, maturation takes place in refrigerated cement tanks and continues in Slavonian oak barrels with a capacity of 30-50 hl. During the 12 months inside the barrels, NEPENTE CLASSICO undergoes frequent bâtonnages on its fine and noble lees to extract the noble components and increase both body and volume. This is followed by a rest period and maturation in bottles for at least one month. Sterilised and with the use of inert gas. Storage in bottles for over 3-4 years in humid conditions and at a suitable temperature helps wine maturation and the development of delicate and ethereal notes. Crimson red with orange tinges at maturity. Spicy scents of aromatic herbs accompany the typical fruity notes of the vine variety. The mature scent in the nose is confirmed at tasting. Soft tannins and a hint of acidity frame the warm sensations coming from the strong alcohol content. Long and lingering in the post-nasal sensations. Rich and savoury first courses, pastries filled with meat. Roasts, lamb fricassee, braised meat. Superb with matured and blue cheeses.